You must make reservations at least 5 minutes in advance of the time at Branch Line. Bar an extra hour every night. A neighborhood rotisserie and wood fired grill in the Watertown Arsenal built on a foundation of personalized hospitality. Featuring a year-round patio and outdoor bocce court, Branch Line offers something for everyone. 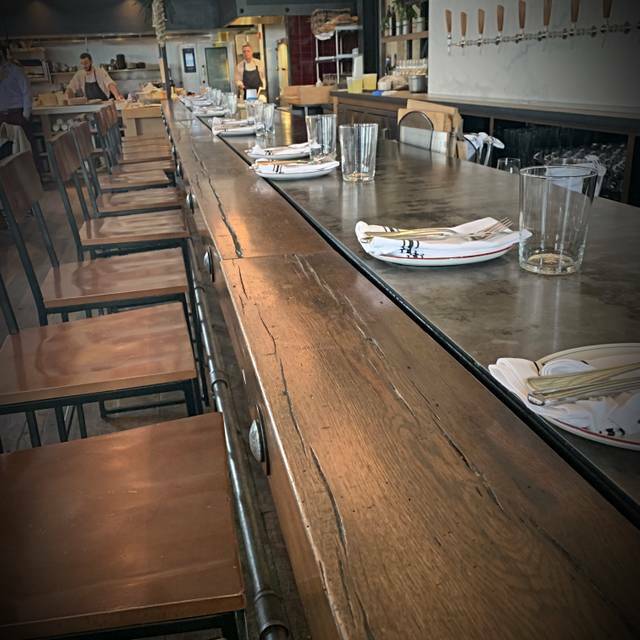 Twenty taps continuously change and offer a great craft beer selection, while a curated wine list features bottles that are value-driven and also ready for any special occasion. The Green Circle Rotisserie Chicken spins and roasts in sight of nearly every table in the dining room while the fire roars under vegetables, fish, and meat. The "Little Chicken" menu is great for kids, too! Looking for another reservation? 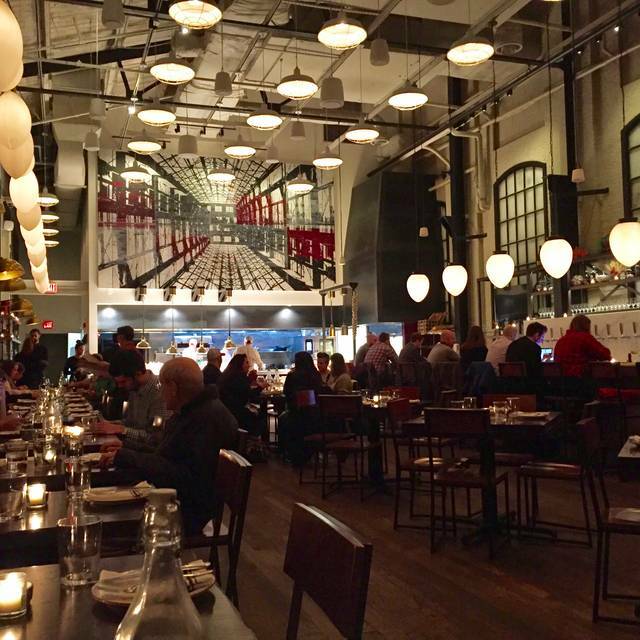 Visit one of our sister restaurants: Island Creek Oyster Bar (Boston & Burlington), Row 34 (Boston & Portsmouth), Eastern Standard, and our cocktail bar, The Hawthorne. White Peony "Bai Mu Dan"
The salad with chicken is DELICIOUS! Nice spot for brunch a little off the beaten path. Food and service was good. Kid friendly. Love going to Branch Line. However, this time the steak was a little tough. The rest of the food and wine were great. This was also the first time we had a slightly less than stellar service experience. It was not bad just inattention to some details in our order. 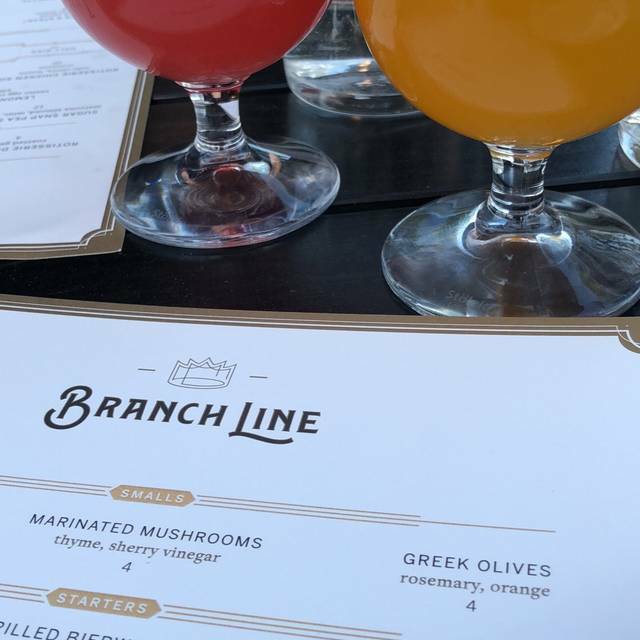 Branch Line is a place where you would want to share with all your friends. The food, service and drinks are superb. We highly recommend it. This excellent spot was very busy on this Thursday night. We used OT to reserve a table on the enclosed patio as the dining room was full. Was great... a bit quieter than the bustling main room. The same great food and service. Snap pea salad (a must order), the grilled pork chop w/mashed (new on the menu), scallops and an order of carrots... all perfect! Great service, awesome wine and beer menu, atmosphere, parking make this a spot we can't stay away from. Love it here! Excellent venue, however on occasion, noise level makes it a little challenging to hold a conversation (for business). Love this restaurant -is a local go-to! Staff is phenomenal & very hospitable - food is excellent. I'd definitely recommend it for the food, but be prepared for a noisy bar scene. We were there around 6 PM on a Wednesday, and the noise level made it challenging to have an intimate conversation. 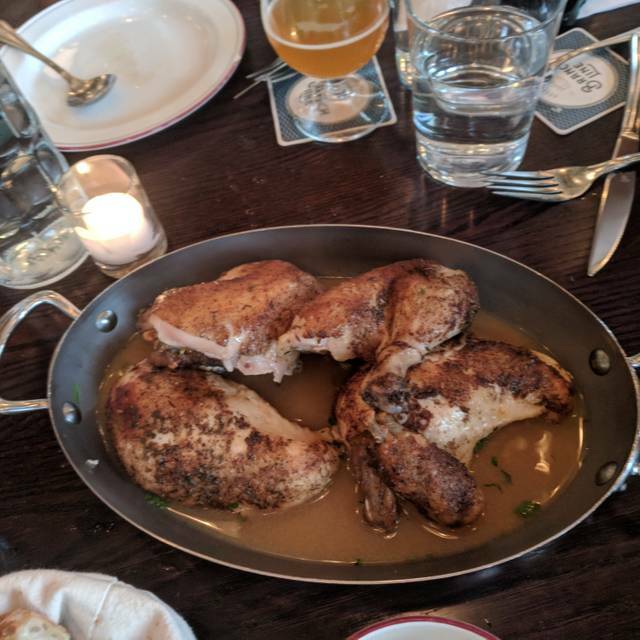 Great space for a dinner out with friends, and we always order the chicken, because...well, how can you not? Wine and cocktails were also yummy. This was our second visit to Branch Line. We very much enjoy the food and the atmosphere. We plan to keep coming back. Server should ask patrons ordering the half chicken if they would like any sides. It is easy to think that it might come with something given that the quarter chicken comes with greens. Came as a little bit of a surprise to get just a large chicken in broth with nothing else. Had we known we would have ordered more food but by the time it came it was too late. The food and ambience were great. The beers were also very good. Beautiful setting. Pleasant, welcoming decor. You want to spend time here. The food is always consistent. Delicious comfort food. I would recommend Branch Line to a friend, BUT I would NOT recommend the Rotisserie chicken. It was pretty dry and the house sauce is nothing special. The white truffle Mac & Cheese was not very strongly truffle flavored and when our entrees arrived, we have not flatware. The sugar snap pea salad and shrimp appetizer were the best things we had there. First Of all they make the most delicious chicken soup, probably from all the chickens they roast all day. But they add big chunks of roasted chicken, croutons ( I personally take them out as they’re a tad salty ) in a Parmesan broth and olives are in this delicious concoction that warms the soul and your belly, We asked the server to spilt the soup into two bowls and she smiled and said no problem . 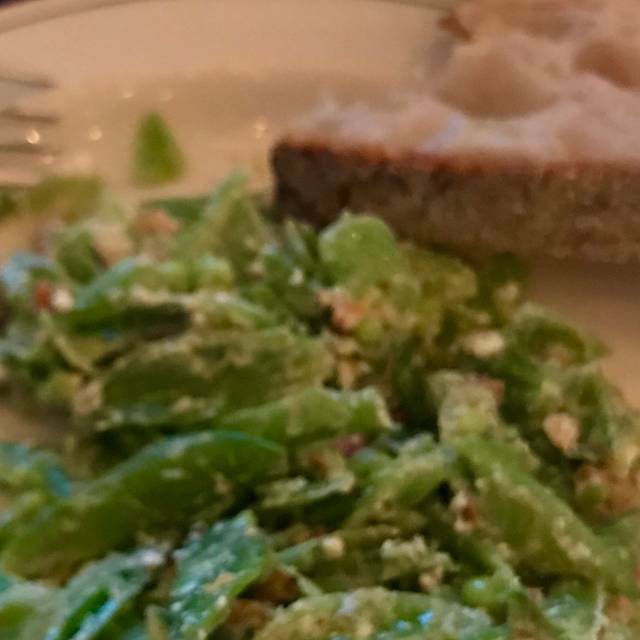 We then split a more than ample chicken salad with romaine ( personally I would have chopped the leaves a bit smaller so when you bite into it you don’t have part of the lettuce in your mouth and part of it hanging out of your mouth ) with pecorino ranch dressing and cucumbers. Maybe because we split the salad I never found cucumbers, but the salad was refreshing and more than enough for two people. We often get the vanilla ice cream with hazelnuts and coops chocolate sauce when we eat here for dinner but passed for lunch . Amazing wings and steaks. The chicken also looks amazing, but none of us tried it this time. It gives us a reason to go back! Love coming to Branch Line with friends and family! Service (hostess & server) are exceptional! Very professional and friendly. Love the local food, especially the Spring Pea Salad and Roasted Chicken! Free parking helps too! Excellent food that is not run of the mill. Great glass of wine. Friendly, responsive waitress. Great birthday brunch for my mom! Wonderful place for brunch! Good for the whole family. Get time! Waiter, bartenders played along with us on a silly joke we played on one of our friends. Great service, food, drink! I did not like the kitchen or Caesar salad. Chicken undercooked and salad had a weird taste. Great meal. Great service. 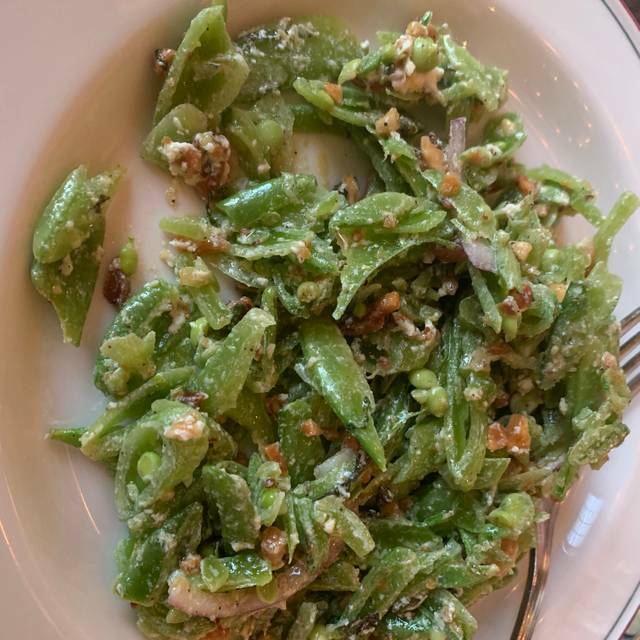 Snap pea salad is fabulous. Great service. Will be back. Food was great, service was great (especially the host) and the wine was great! Slightly noisy but the noise level was still tolerable. I was a little worried about spending almost $40 on a whole chicken considering I can get one at the grocery store for 1/10th the price but after eating it I have no complaints! Reminded us of our time in Paris eating poulet roti. If I did have a complaint it would only be about the size of the tables, they’re a little small for the style of eating if you’re getting chicken and not regular entrees. Overall a great value. The bill came in at just about $100 for my husband and I before tip with a whole chicken, 2 sides and 2 caraffes of wine. Great night out! Can’t wait to take our friends. 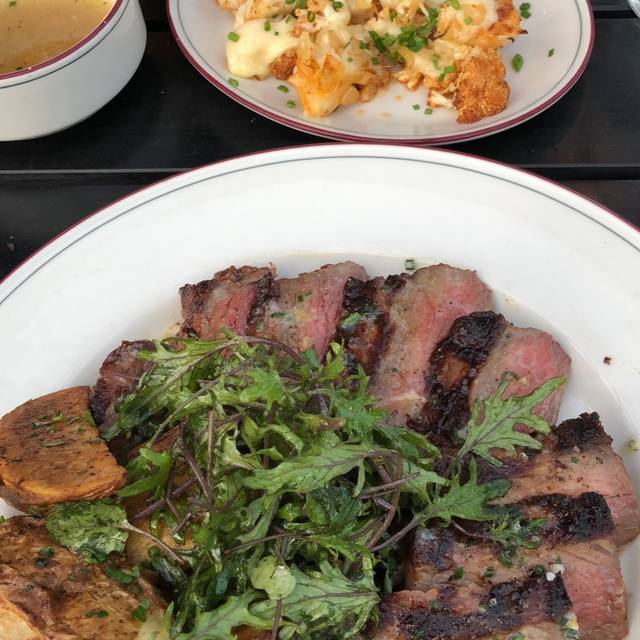 We've eaten at Branch Line 3 or 4 times and its always been fabulous. 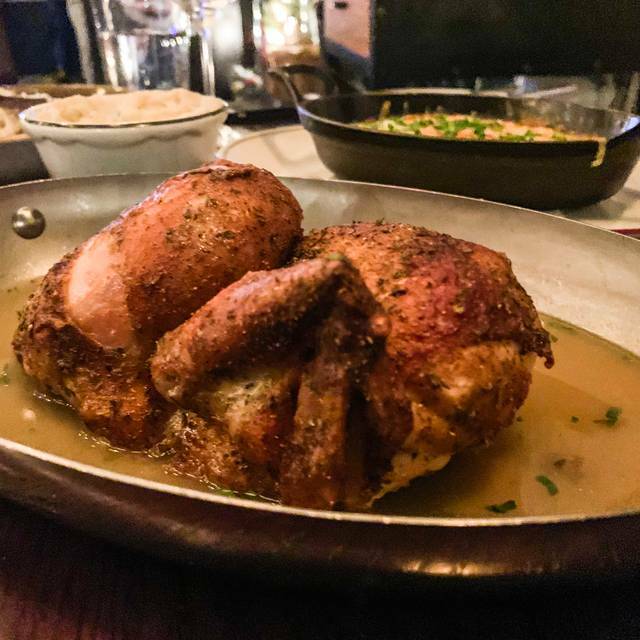 The rotisserie chicken is the closest thing to the gold standard Hamersley's. An informed wine list and extensive beer selection make for a truly enjoyable dining experience. Sharing is a must even though you can have your own. The outdoor patio is wonderful - even in colder weather. Great place, easy parking, warm, attentive service. I was enthusiastic about Branch Line and now I don’t know if I would go back. I had a wonderful experience with my family in December in the enclosed patio area. I had the signature chicken and it was delicious. Two days ago I went with some friends and and we were again seated in the enclosed patio. This time it wasn’t great at all. I again ordered the signature chicken but this time it was cold. Everyone’s meals came out several minutes apart. This explains why my chicken was cold! The heat was blasting over my head and our server was really subpar. Unfriendly and completely unattentive. 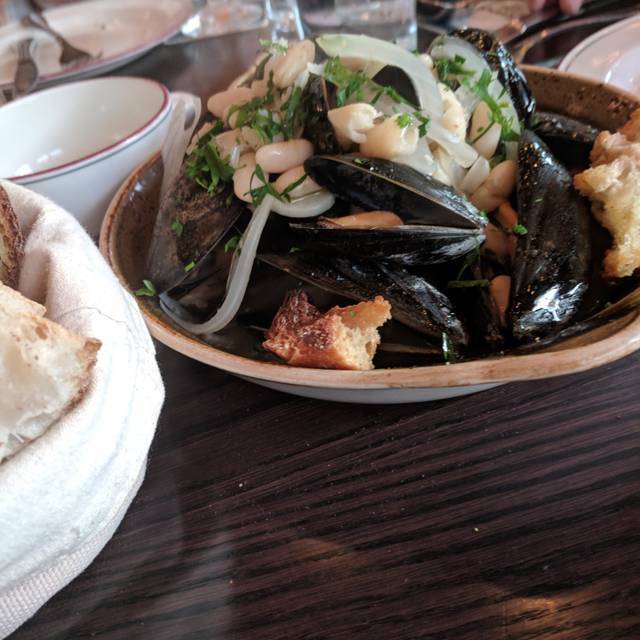 I have dined at Branch Line 6 times and have never been disappointed. I love the snap pea salad. It's almost a meal by itself! The roast chicken is delicious however, I wish it came with a vegetable side. It's served with potatoes, but looks like it needs something else on the plate for color, etc... Dessert was fantastic too. Although we didn't have beer this visit, the selection is varied and interesting. Branchlike is a great place to have lunch or dinner. The atmosphere is exciting and makes you feel like you’re in a downtown restaurant. The best part is the food. You will never go wrong no matter what you order. Hands down one of the best places to eat. The snap pea salad was amazing! And the salmon was one of the best I’ve ever had. The only reason I gave 4 stars rather than 5 was because the chocolate cake was disappointing. The cake was dry, not very chocolatey and over mixed. The ice cream, however was outstanding. Food was great, dining in the outdoor patio makes the noise level moderate to low and it allows having a conversation without yelling. It was Friday of Dine Out week and the restaurant was full so we had to wait about 15 minutes after our reservation time. Value: excellent because of the fix menu. All in all it’s a very good restaurant.